Hello everybody, today I'll be reviewing a mask pack from skin18.com. Recently Skin18.com sent me three face mask and a nose strip. PACKAGING: The mask is made of 100% natural cotton which has well designed carvings to make it attach to your face. The mask is packed in a plastic wrapper which is very hygienic. 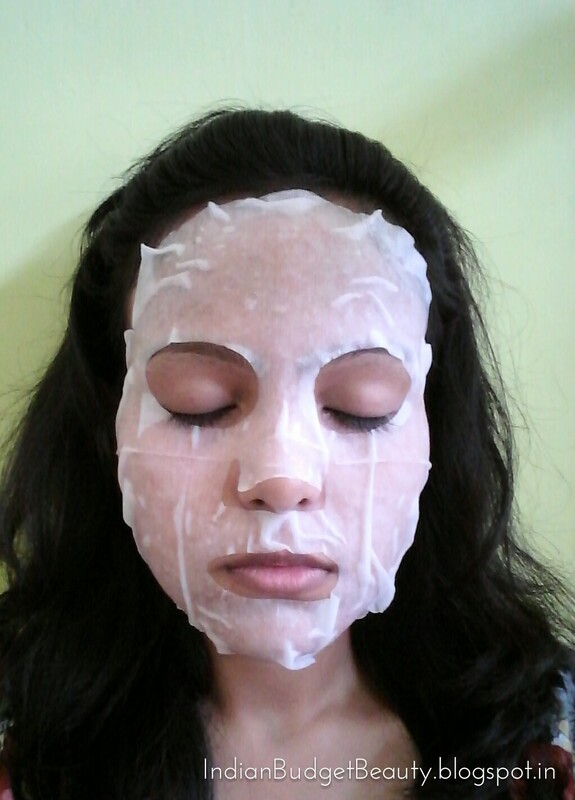 The mask is infused with essence ingredients and since the mask is made of natural cotton, it allows the ingredients to absorb into the skin. MAIN PURPOSE OF THE MASK: This mask is part of Mirum's fresh fruit series, so it provides the skin with hydration and nutrition. According to the ingredients, this mask contains glycerine, honey, castor oil; which helps in keeping the skin well hydrated, nourished, and makes your skin have a natural glow. Main focus of the mask is on Honey! The mask smells like honey itself. It contains NO artificial pigment and Mineral oil. So its safe to use. Take out the mask & attach to you skin. Leave it for 15-20 mins and the take off the mask and gently massage your skin with the remaining essence til it gets absorbed. To be honest, this is my first face mask, and my first Korean skincare product too. I had high expectations because we all heard how good Korean skincare products are. This one Good excellent! It kept my face well hydrated and it did not make my skin feel dry, even after sitting all day under AC! It made my face looking dewy and brightened it as well. It made me have a natural glow. Hell Yes! I totally recommend this product! Sounds like a very nourishing mask.